This residence features the use of stone and wood, combined with barrel vaulted ceilings in rooms filled with many windows. The use of these materials created structural difficulties that required inspired uses of steel, concrete and wood supporting systems. A witch’s hat tower and outdoor patios required non-typical structural design and building methods to support a round structure and stone veneers. 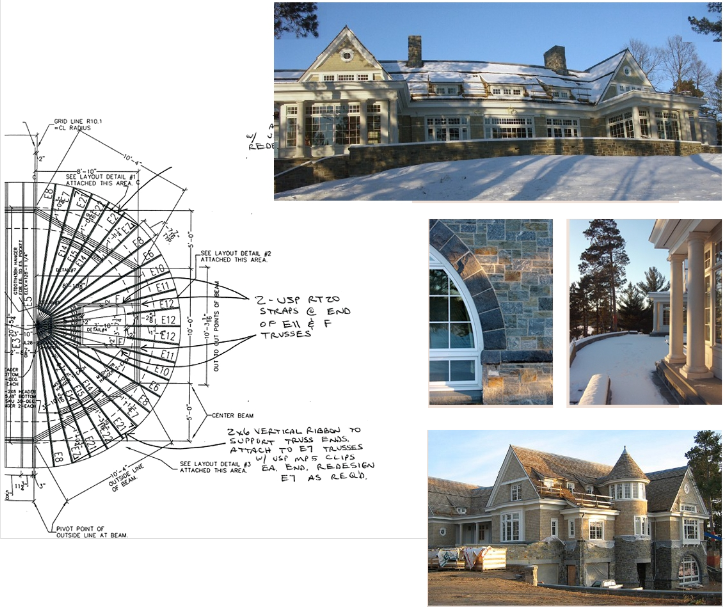 Much of the structure is amongst varied exterior grades that required special attention to foundation loads.